Please be sure to read the things I posted today in lieu of my normal post -- but I'm busy packing for Bead and Button (and did I mention that I used to LOVE to fly and flew often, but am now pretty much scared of it?). 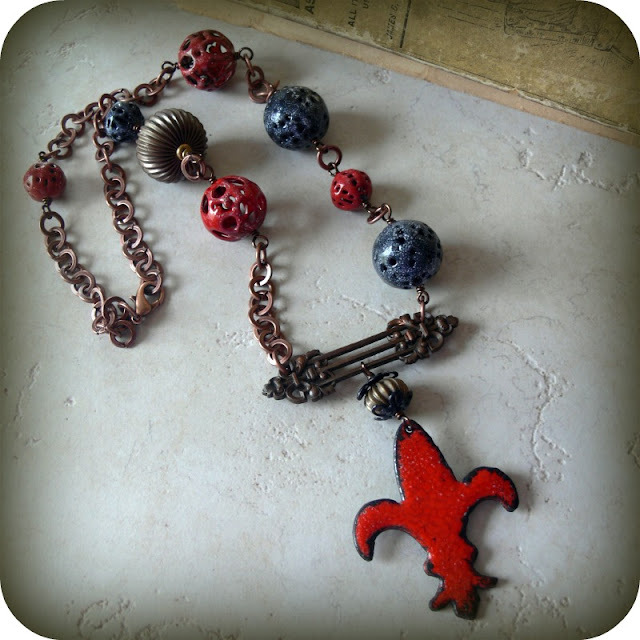 Lori Anderson creates jewelry for her web site, Lori Anderson Designs, and wrote the blog An Artist's Year Off. 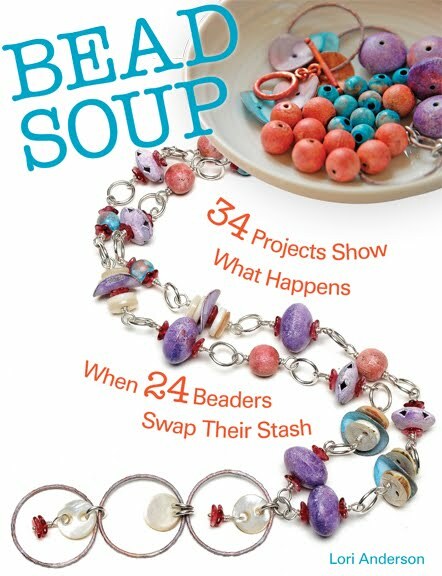 She's also a contributor to Art Bead Scene. 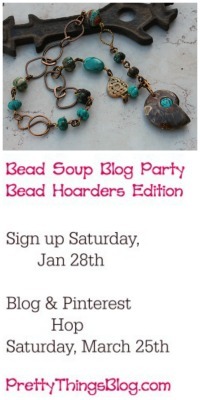 She is also the creator of the Bead Soup Blog Party. YOU are so funny, I just love you. I read in a Reader Digest once. "When you fear a thing, just do it, with fear"
Great necklace, Lori. I am just the opposite. I used to be scared to death and not I am pretty fine. I hope the flight goes well and the weather is good. I went two times to Bead and Button and had a great time. Someday I hope to go again. You wil just have to enjoy it for me!!! SAFE travels and good times. Have a good time at the show! The necklace is so cool!!! I love it! 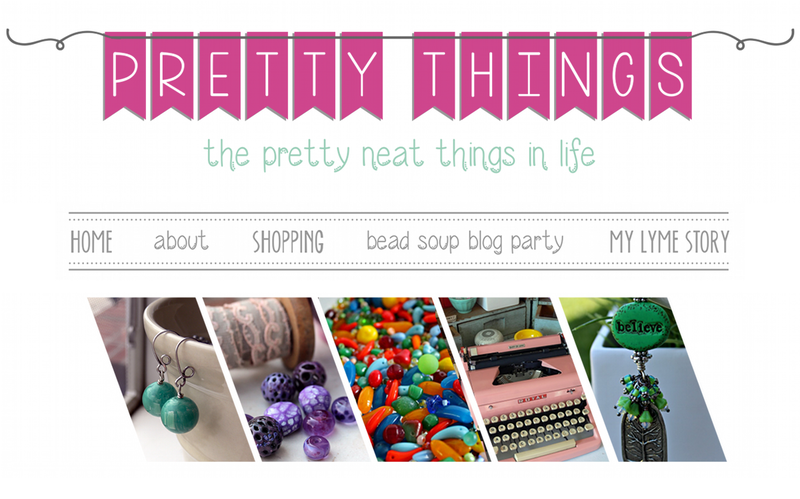 Have fun at bead and button, can't wait to hear all about your adventures! Awhile back I read your post on the book "Unbroken". Well, I just started reading it and can't put it down! I was instantly hooked after reading the preface. Thanks for recommending such a great read. Have a safe flight and a wonderful time at Bead and Button. Can't wait to see all the goodies! SUCH a cute necklace. Love the color scheme! Luv the necklace!!! You always come up with the most unique designs!!! Safe travels to you. Will enjoy your recaps of the show. Your posts are always a joy to read. Statistically more people die in car accidents than air plane accidents I don't remember the percentage but you are much safer in the air. Your necklace is bold and beautiful. 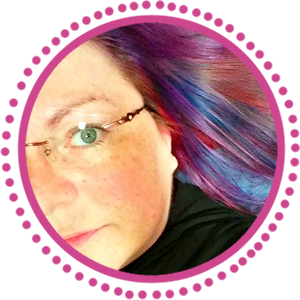 A new look and colors for you - love it. Have a wonderful trip. These are the things I love today. Eye Candy Day -- and What is Style? Are You Sick of Giveaways Yet?